Keep things simple with HP LaserJet Pro powered by JetIntelligence Toner cartridges. Help save energy. This efficient HP LaserJet Pro printer delivers documents quickly while helping to keep energy costs low, so you save resources. 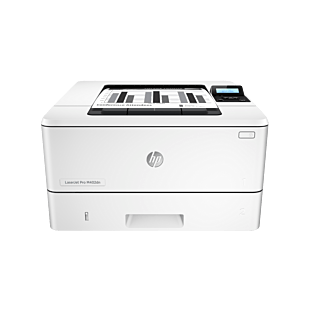 Wait less with an HP LaserJet Pro that prints at fast speed of up to 23 pages per minute. 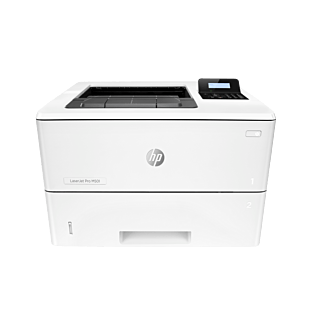 Mobile printing is easier than ever with HP. Print with minimal steps from a broad range of mobile devices—smartphones, tablets, and notebooks. Count on consistent results—Original HP Toner cartridges with JetIntelligence are designed to work flawlessly with this HP LaserJet Pro. Anti-fraud authentication helps protect your business from frustrating quality issues and costly reprints. Front USB flash drive port The USB flash drive port is located in front of the device for easy accessibilty. 1 USB cable for all regions. HP SureSupply alerts you when your print cartridge is running low and helps you purchase online or locally through HP or a participating retailer. Only available with Original HP supplies; Internet access required. To learn more, visit http://www.hp.com/go/SureSupply. Rated 5 out of 5 by MAN from excellent product i bought this printer as i need it which is compact and fast. i love this product really easy to setup has wireless option so i can print from mobile its good quality product. Rated 5 out of 5 by RicksOpinion from Great replacement for P1102w I bought this to replace an old HP LJ P1102w, which by the way is the best toner B/W I've used and owned in 10 years. HP replaced it with the LJ Pro M102w and it doesn't dissapoint. I love the new printer, it works great just like the old one. If it lasts after seriously use for years then I will be very happy. Rated 2 out of 5 by schooltech34 from Good when it works I bought 17 of these printers for my school to replace old Dell 1700 laserjets. The lack of an ethernet port was accidentally overlooked, but we had refreshed the wifi system, so we moved forward with the m102w. The printers don't have an option to shut the sleep mode off, and sometimes didn't wake properly. A firmware update seems to have helped it to a degree, but the response is usually to turn the wifi back on or restart the printer. One unit recently decided to start shredding the right side of anything it printed. Been a big fan of HP, but this one misses the mark. Rated 1 out of 5 by LisaRSWA from Not really a Wireless printer Bought this last year and have struggled with it since I got it. Should have returned it immediately but thought I would keep trying. It loses connectivity constantly, I have to reboot the printer almost every time I want to print. I have given up on wireless printing and just connect the wire to my laptop which defeats the entire purpose of why I bought this printer. Rated 5 out of 5 by Honeyprinter from A Workhorse Great printer for the price. Easy set-up. WIFI and iPrinting works perfectly. Reasonable fast print speed. I have an older version of this printer for 5 years. I print 4000 sheets/year. No jams, no problems, no cartridges that dry out, no losing of IP addresses, works every time. Love, love, love this printer. Rated 1 out of 5 by BigSisterNine from Noisy and semi-functional It sounds like it is grinding glass when it prints. I thought something was wrong when I bought it and brought it back to the store. They replaced it -- but the replacement also makes the same noise. It sounds like something is breaking inside the printer. It is also very temperamental and sometimes prints, but sometimes only prints the first 1/3 of the page and then restarts to print the whole thing. I had the earlier version of this printer and I loved it -- but this model is definitely not an improvement. Rated 2 out of 5 by MadisonMary from Decent Product, Installation Is a Disaster Once I got the printer installed, it worked acceptably, except that it will not print #6 3/4 envelopes from the Word 2010 Envelopes tool, no matter what I do. This seems like something that should just be a matter of course. The big problem is that installation to run via USB port was extremely difficult. None of the documented procedures in the material shipped with the printer worked. The installation claimed it completed successfully, but the list of printers on my Windows 7 machine showed the printer with a big yellow exclamation mark, and right clicking the icon for it showed that the computer was unable to recognize that the device was even a printer. After multiple attempts, I looked up the problem online and found a third-party user forum that described a procedure involving a manual installation using the Windows 7 add-a-printer procedure and searching the Temp files created by past install attempts to find the drivers from the earlier failed install attempts. That produced a working printer. My online searches show that this problem has been around since early 2017, so I cannot fathom why HP has not fixed it. 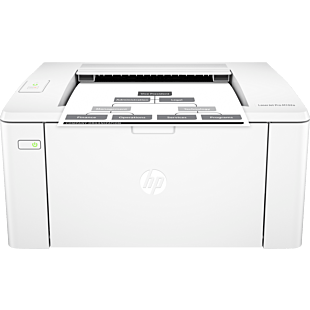 After this bad experience and others with prior printers, I am starting to question HP's commitment to the small/home office market, and I hesitate to recommend their printers, despite having used them happily for many years. Free HK$150 Supermarket Coupon Click here. 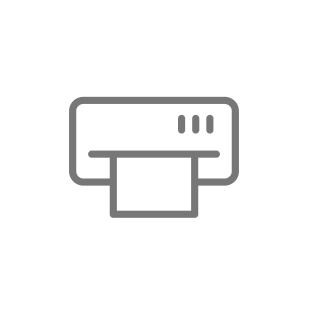 Printing speed measured using ISO/IEC 24734 and excludes first set of test documents. Exact speed varies depending on the system configuration, software application, driver, and document complexity. Learn more at hp.com/go/printerclaims.